With interest rates at or near zero across developed economies, concerns increase over the effectiveness of monetary policy to prop up ailing economies. Amidst the financial calamities of 2007 and 2008, many quickly foresaw a recession of historic proportions. While historic the downturn was in size, The Great Recession’s lasting bad taste is its’ real claim to fame: recovery rates have been abysmal. Too was the crisis unique in its response; divided and debt-laden governments’ defaulted to central bankers, who did much of the heavy lifting. Yet, their effectiveness may be diminishing. 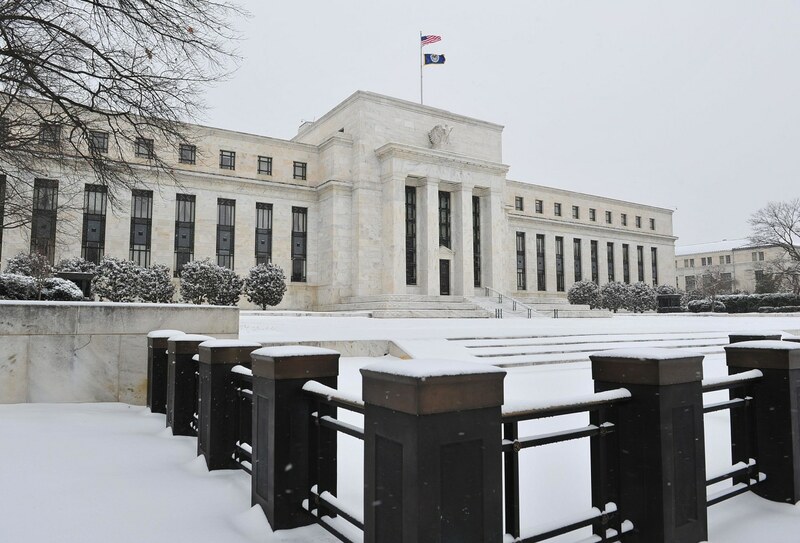 December’s interest rate hike marked the Federal Reserve’s first increase in over nine years. Comparatively, this is expedient. One month later, the Bank of Japan lowered rates to negative 0.1%, despite nearly 17 years of stimulus at zero. Likewise, the European Central Bank has expressed no interest in raising its already negative rates. These negative rates are bold; they signal a strong desire to stimulate the economy at the possible expense of private banks. While unprecedented, the question still begs -why is it so hard to leave zero? In short, central banks are trapped. Liquidity trapped, specifically. In a liquidity trap, monetary policy loses its bite as the headline rate nears zero. No matter how much cash the central bank injects into the economy, it is to no avail – the money will be hoarded. For central bankers, this is quite awkward, as they lose much of their ability to generate inflation; the mechanism that pushes real interest rates negative. Central banks have tried to circumvent this trap with increasingly aggressive “unconventional” policies, such as quantitative easing or the negative headline rates introduced by the BOJ and ECB. Despite some indications of success, growth continues to fail already lowered expectations; US potential growth has already been revised downwards a full 5%. The newest iteration of liquidity trap theory is the dismal view that that poor growth is here to stay; “secular stagnation” in economics jargon. Rather than just a temporary downturn, long run pressures may have pushed real interest rates permanently negative. Since 2009, growth in the US has averaged 2.3% – disappointing by historical standards. Between 2004 and 2014, labor productivity growth slowed to an abysmal 0.54%. Moreover, the US’s near brush with zero rates post 2001 indicate that the nation hasn’t enjoyed healthy growth in over 17 years. While unemployment statistics seem promising, it is unclear if the US economy is reaching full employment or if a flood of discouraged workers will re-enter the labor market. The Fed too acknowledges these fears; Chairman Yellen in her June address halted any rate increases due to “mixed” economic indicators and anticipation that low rates will be needed to “keep the economy operating.” With long run (ten-year) inflation expectations dropping to less than 2%, and the Fed failing to meet its 2% target, it is unclear if December’s rate hikes will succeed. The suspected causes of this stagnation range, but the basic premise holds; there is an excess of savings over depressed investment demand. Declines in population growth may be reducing growth expectations, and likewise investment return rates. Growing firm sizes have left companies like Google and Apple unsure over what to do with all their excess money. Rising inequality corresponds with larger rich populations who save more. Furthermore, developing economies have accumulated massive reserves, further increasing the glut of savings. Permanent demand weakness is not an unheard of condition; Japan has suffered a “lost decade” of poor growth it has struggled to escape. For nearly 20 years, Japanese growth has averaged under 1% and the economy has suffered from an average deflation rate of 0.3%. Despite low unemployment – only 3.2% of the island’s population is searching for work – economic futures are still not cheery. Aggressive monetary policies in Japan have proved largely unsuccessful in increasing inflation, which dropped to negative 0.4% in May. Let this be a lesson to Western onlookers. Some monetary policy efforts, namely forward guidance, the concept that a central bank will clearly communicate its plans to keep interest rates low, have been successful in increasing inflation expectations. However, if central banks are to end stagnation alone, they would have to convince the public that they’ll behave incredibly recklessly. It is time for reluctant governments to step up. In Japan, Prime Minister Shinzo Abe’s reforms dubbed “Abenomics” have provided hope. In the US, low interest rates provide Congress ample opportunity to invest in high return infrastructure, science, and technology projects. Shoring up possible causes – namely increasing firm sizes and income inequality – may also help in the long run. At worst, these projects will amount to more debt at zero interest. At best, the economy will finally thaw. Bernanke, Ben S. (2013) “Communication and Monetary Policy.” Remarks at the Board of Governors of the Federal Reserve System, November 19. “Economists’ evolving understanding of the zero-rate liquidity trap.” (2015, December). The Economist. Gordon, R.J. (2015) “Secular Stagnation: A Supply-Side View.” American Economics Review 105(5): 54-59. Krugman, P. (1998) “It’s Baack! Japan’s Slump and the Return of the Liquidity Trap.” Brookings Papers on Economic Activity 1998(2): 137-187. Krugman, P. (2015, October) “Rethinking, Japan.” The New York Times. Krugman, P. (2014, March) “Timid Analysis (Wonkish).” The New York Times. Shirai, S. (2013) “Monetary Policy and Forward Guidance in Japan.” Speeches at the International Monetary Fund and the Board of Governors of the Federal Reserve System, September 21. Summers, L.H. (2015) “Demand Side Secular Stagnation.” American Economics Review 105(5): 60-65. Summers, L.H. (2014) “US Economic Prospects: Secular Stagnation, Hysteresis, and the Zero Lower Bound.” Business Economics 49(2): 65-73.